doodlesmomLesson Wrangler (100+ pts) a Supporting Member! I'm wondering how we can add several teachers to my supporting member account. The website is so much easier to use since the "early days" of employing the model in congregations, so I'd like to see if we can't get the three members of the leadership team on board. We're a smaller congregation, so being good stewards of the limited resources we have is important. Do you have multiple memberships or a group rate? Thanks for all your work on this! 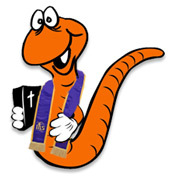 This is the third church I've served using WORM, (have used the materials since 2005) and I can't praise your efforts enough! Our kids are retaining the information. They are applying the lessons on a situational basis--kids are having a discussion in a children's sermon and they apply a lesson that they've learned while studying one passage of scripture to a totally different scripture lesson! AWESOME SAUCE IT IS! Thanks for your faithfulness to teaching, to the Rotation Model, and to our site! Answer: To give several teachers access to Supporting Member resources, you will need to give them access to your log-in info. We don't have the capability of "tiering" supporting memberships, or adding different registered members to one supporting membership. So what we've always told people is to SHARE your log-in info with teachers in your church. Many churches do just that. 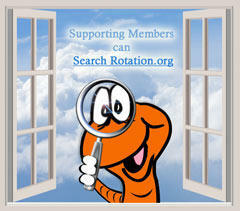 You can edit your Profile, email log-in and password if needed at https://www.rotation.org/member-cp/update-profile. Another option some long-timers like you have chosen is to create a profile/login for their church and let the church pay for the supporting membership on that profile. Then, keep your own log-in separate and simply make your personal Profile -a free "registered" or supporting membership. Wanted to chime in and say thank you for marking your Supporting Membership's automatic renewal as "on." We all very much appreciate our to-the-core members.